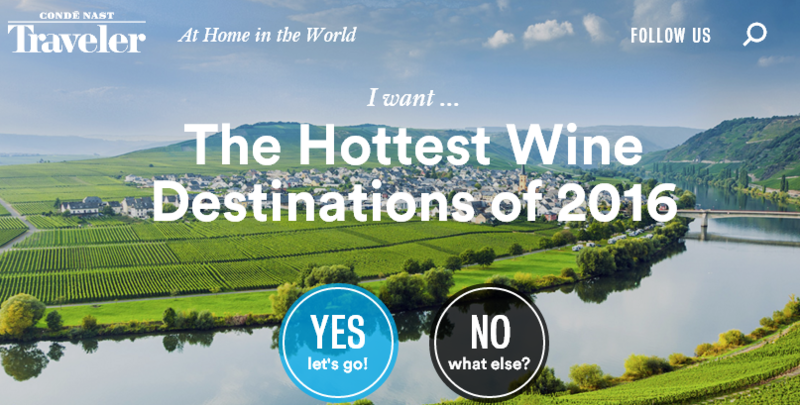 Georgia in "Condé Nast Traveler" list of "hottest wine destinations 2016"
21.12.2015 (Hvino News). Georgia is listed in "The Hottest Wine Destinations of 2016" by luxury travel magazine Condé Nast Traveler. "The Hottest Wine Destinations of 2016" is a list compiled by Condé Nast Traveler's Laura Giannatempo, published on December 17. "Georgia — the former Soviet Union country, not the American state, and one of the oldest wine regions in the world — has become a wine hotspot in the past few years. The traditional Georgian method using kvevris — beautiful, amphora-type clay vessels for fermenting, storing, and aging wine underground — is now being replicated by many natural winemakers all over the world. “The land, the history, the culture, the food, the wine, the people—it was one of the most powerful wine trips I’ve ever taken,” says Pascaline Lepeltier, beverage director of Rouge Tomate Chelsea, NYC." 10.12.2015. Observing a world map, you will see that Georgia is a small country with a strategic geographic location, resting at the crossroads between Europe and Asia. But how best to really describe it? The country is often showcased on international television programs, such as CNN’s 9 reasons to visit Georgia now, New York Times’ 52 places to go in 2015, and National Geographic’s Best tours in Europe 2015. There are numerous literary books and guidebooks about Georgia’s cultural heritage, nature, cuisine (wine, in particular) – all beckoning people to visit the land of the ancient Kolkhis. 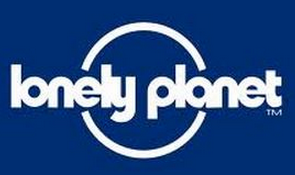 Travel agencies entice potential tourists with offers, proposing air companies and routes that are convenient and friendly, and advising on a range of hotels in which to stay, routes to pursue, and places to visit – whether in the country’s famous mountains or valleys. Perhaps Georgia is best described as the “Country of Life” – a motto coined by Georgian National Tourism Administration (GNTA), and which can be found on a wide variety of gifts and tourist products. 04.12.2015. (Hvino News). Just a couple months ago Hvino News reported about American Vogue magazine's mentioning Georgian wine on top of the Vogue's list of orange wines (read more: Vogue magazine lists Georgian Iago's Chinuri as number one orange wine). 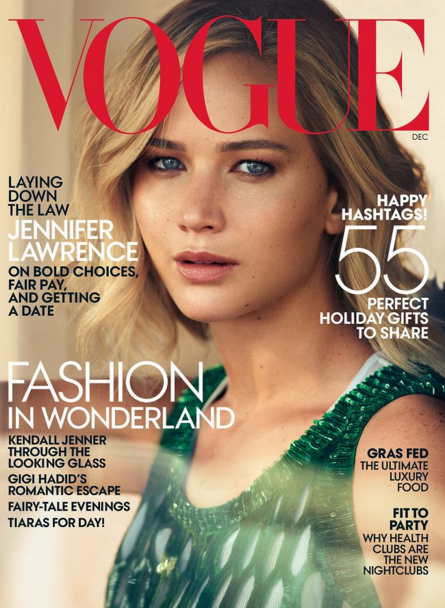 On December 2 Georgia appears again in the focus of Vogue's attention. This time the renown magazine goes further in exploration of Georgia. Vogue published five reasons why one should visit Georgia, in the article “Why Georgia (the country) is the secret gem of Europe”. "This holiday season, forget the plane ticket to Milan. Cancel Berlin. And don’t bother with London. Instead, head to Georgia". Over the past few years, a wave of Georgian restaurants have become a hit stateside... And there is no doubt about why this Eastern European cuisine has crossed the Atlantic.... Georgian wine—it’s fermented in a kvevri, a B.C. tradition that involves a clay vessel buried far underground. Besides delicacies such as khachapuri ("bread is in the shape of a pinched boat, stuffed and baked with a traditional Georgian cheese called suluguni"), other attractions listed by Vogue include Georgian ballet, sulfur baths, and Tbilisi's architecture. A little bit oversimplified list, in our view, but anyway thanks to Vogue for covering Georgia. We hope the readers who will visit Georgia will report many other really unique attractive features of Georgia, and discover that it is a gem indeed. 26.11.2015. (Hvino News). 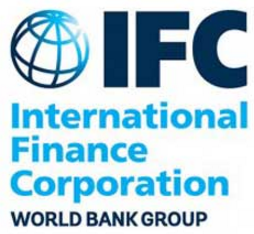 IFC, a member of the World Bank Group, is providing a $7 million loan to a wholly owned subsidiary of m2 Real Estate to build one of the first three-star internationally branded hotels in Georgia, helping create jobs, meet growing demand for quality hospitality infrastructure, and spur broader economic growth. Tourism and travel is one of Georgia’s fastest growing sectors, and a key generator of jobs. Yet the budget and mid-market hotel segments are particularly underserved, resulting in a large gap between supply and demand. 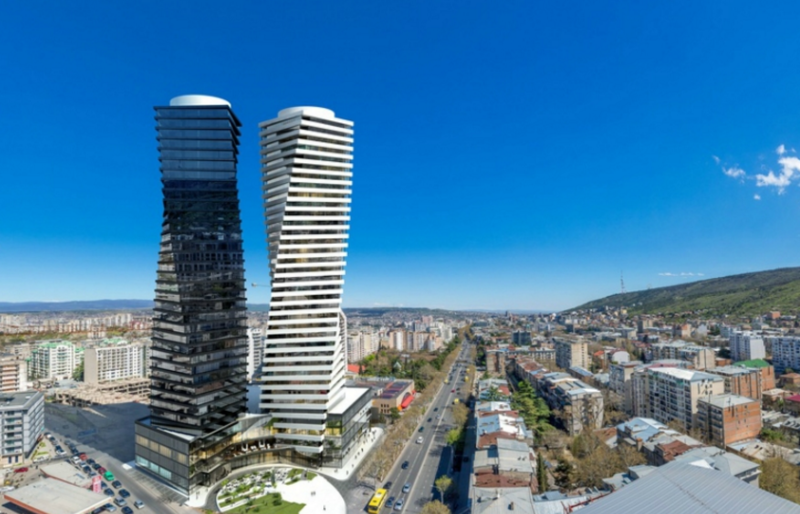 In funding the construction of a Ramada Encore Hotel in Tbilisi, IFC’s loan to JSC m2 Real Estate’s wholly owned subsidiary aims to address this gap. ”Building on our successful cooperation with IFC over years, with this new project we plan to contribute to improving Georgia’s hospitality infrastructure and cater to the growing demand for travel in the country,” said Irakli Burdiladze, Chief Executive Officer, m2 Real Estate. The 152-room hotel is the first step in JSC m2 Real Estate’s plan to build more than 300 affordable hotel rooms in Tbilisi and, potentially, other cities of Georgia. In addition, the hotel plans to use using energy efficient technologies to reduce power use. 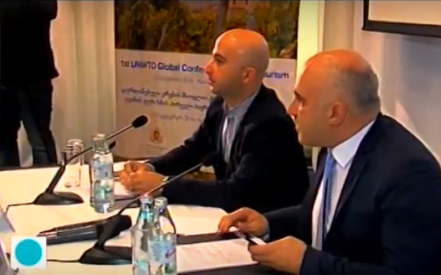 13.11.2015 (Hvino News) Yesterday in Tbilisi the the heads of the National Tourism Administration and National Wine Agency - Giorgi Chogovadze and Giorgi Samanishvili - held a joint press conference regarding the first Global Conference on Wine Tourism, planned for 2016 in Georgia. The wine conference will be held under the auspices of United Nations's World Tourism Organization - UNWTO. As announced last moth at UNWTO event in London, the first UNWTO Global Conference on Wine Tourism will be held in Georgia’s Kakheti wine region on September 7-9, 2016 (read more here). The activity is part of the UNWTO Gastronomy Network plan of action. The representatives of Georgia's wine and tourism agencies briefed the journalists at Radisson Blu Iveria Hotel on the conference project details, and answered the questions. 05.11.2015 (Hvino News) Wine tourism is set to really take off next year after it was announced that the first UNWTO Global Conference on Wine Tourism will be held in Georgia’s Kakheti wine region from Sept. 7-9, 2016. The 1st UNWTO Global Conference on Wine Tourism was officially launched by UNWTO and the Georgian National Tourism Administration on the occasion of the World Travel Market in London. The activity is part of the UNWTO Gastronomy Network plan of action. 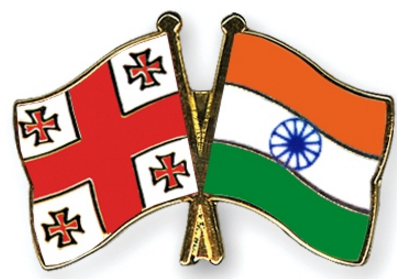 03.11.2015 (Hvino News).Georgia Tourism holds first roadshow in India in partnership with Air Arabia. There has been a commendable growth of 81% in Indian inbound to Georgia during the first nine of this year, compared to 3,792 Indian arrivals during the same period in 2014. According to Georgia National Tourism Administration (GNTA), they welcomed 6,869 Indian passport holders from January to September, 2015. Speaking to TravelBiz Monitor on the sidelines of the roadshow jointly organized by GNTA and Air Arabia, George Chogovadze, Head of Administration, GNTA, said that the Indian arrival figures have been encouraging since Air Arabia commenced operations to Tbilisi last year. Chogovadze said that GNTA’s efforts are to create more awareness about the destination, especially the MICE potential of destinations like Tbilisi and Batumi. “We have hosted 18 travel writers from India to Georgia last year. We will continue to organize FAM trips for media and travel agents to make the tourism potential of Georgia known in India,” he said. Chogovadze said that Georgia is a small country, but diverse in terms of topography, climate, etc. “We have mountains, ski resorts, beaches, wildlife, etc. Cultural tour is quite popular. Georgia is a cradle of wines with 8,000 years of wine heritage,” he said. 27.10.2015 (Hvino News). The Georgian Co-Investment Fund (GCF), a USD6 billion private equity fund based in Georgia, and Georgian construction company AXIS are to build Axis Towers, twin skyscrapers which, when complete, will be the tallest buildings in Tiblisi. The glass tower will house a five-star Pullman hotel and will additionally feature an A-class business centre with 15,000 sq m of office space. Meanwhile, the stone tower will comprise of 15,000 sq m of residential property, featuring apartments with impressive views of Tbilisi. The tower will be equipped with all the necessary infrastructure to create the maximum comfort for its residents. GCF will own 50 per cent of the completed development, while the other 50 per cent will be held by AXIS. The multifunctional complex consists of two 147 metre tall, 41-storey towers, four floors of which will be underground. One tower will be glazed with dark glass, while the other will feature white stone cladding. The total buildable area of the towers equals 94,000 sq m.
21.102015 (Hvino News). Sheraton Grand will be the news name of te hotel located in Old Tbilisi. The hotel is under renovation currently. George Gegechkori, director of Ras Al Khaimah Investment (RAKIA) said that presentation of the project will be held in November, while reconstruction of the hotel would be finished in autumn 2016. As he noted, exterior of the hotel will be merely renovated. Redesigning of the hotel is not envisaged by the project, in order not to drop out the building from the ensemble of the city. Number of hotel rooms will be increased from 150 to 220. This will be the sole hotel with the innovative ball room in Tbilisi, which will be able to host the biggest events. RAKIA Georgia is owned by Saud bin Saqr al Qasimi, Sheikh of Ras Al Khaimah emirate, who also owns holds Tbilisi Mall. Wine mapping project launched on Georgian Wine Day! To use on any mobile device, go to: bit.do/hvino. 02.10.2015. 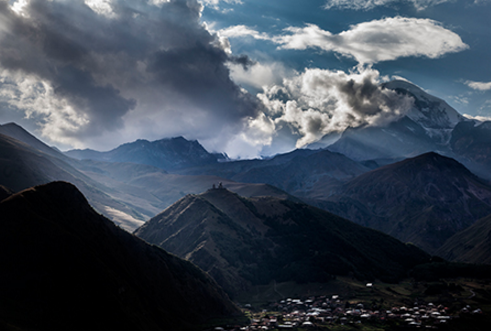 Hundreds of millions of dollars has been injected into the Georgian economy through international tourism. As the number of tourists to Georgia increased, the country experienced more benefits, said the National Tourism Administration. Today the Administration published data stating international tourism revenue reached $460 million USD in the second quarter (Q2) of 2015, which was $30.4 million or seven percent more than in the same period of 2014. In the first six months of the year Georgia earned $766.4 million USD directly from international tourism. This was almost three percent more year-on-year (y/y). 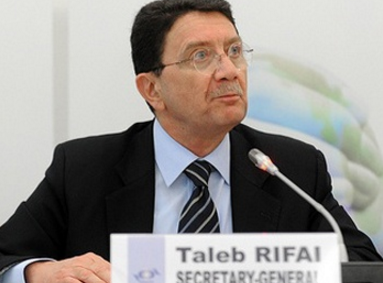 In the six-month period the value added to the tourism sector increased by 17.3 percent and reached 480 million GEL. Between January and June 2015, tourists spent more than 300 million GEL on their foreign bank cards, which was an annual increase of more than 100 million GEL or 38 percent. 30.09.2015 (Hvino News) Following the successful participation in a promotional tour to Kazakhstan, Uzbekistan and Azerbaijan in the Commonwealth of Independent States, organised earlier this month by the National Council of Tourism and Antiquities, Sharjah Commerce and Tourism Development Authority (SCTDA) has announced another series of road shows to Georgia, Russia, Armenia, and Kazakhstan from September 29 to October 2. During the tour, SCTDA will promote Sharjah's latest tourism developments under the Sharjah Tourism Vision 2021 that aims to attract 10 million tourists by 2021. 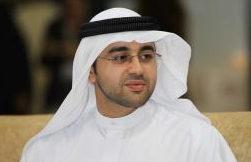 The delegation for the road show is headed by HE Khalid Jasim Al Midfa, Director General of SCTDA, includes representatives from Air Arabia, Sharjah Airport travel agency (SATA), Copthorne Hotel Sharjah, Ramada Sharjah, Golden Tulip Hotel Apartments, and Khalidiya Travel & Tourism. 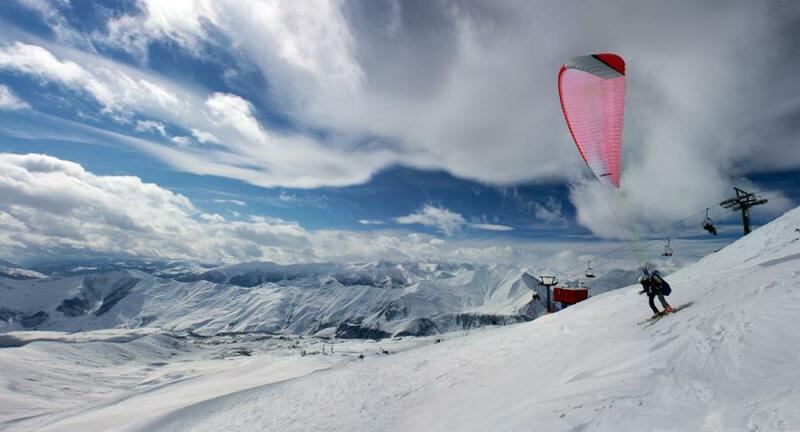 A number of workshops and meetings will be organised with representatives and decision makers in the travel, tourism and hospitality sectors in the cities of Almaty, Moscow, Yerevan and Tbilisi. Commenting on the participation, HE Khalid Jasim Al Midfa, said the promotional tours are part of the Authority's strategy to shed light on the diversity of Sharjah's tourism product in order to strengthen its position as a leading global tourist destination. The road shows will help attract a large number of tourists to Sharjah from key markets around the world, apart from the emerging markets that contribute to the huge tourist inflow to the emirate every year. 28.09.2015. A new lake and a fascinating waterfall is but a small list of some of the facilities that Hotels & Preference Hualing Tbilisi will be constructing in its surrounding area soon. The management is focused on expanding its five star facilities outside of the Hotel’s walls and bringing a new experience to every Georgian, especially residents of the local district. With head offices in Paris and Shanghai the hotel is actively involved in promoting Georgia on foreign markets. 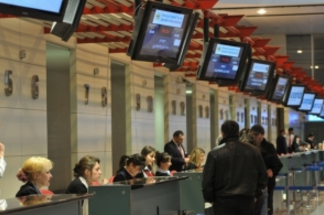 Increasing the number of direct flights, as well as active participation in international exhibitions, are the key suggestions the hotel has for Georgian officials to raise awareness of Georgia abroad. Hotels & Preference Hualing Tbilisi is a five star hotel with a French touch located on the shorelines of the famous Tbilisi Sea. Just two months since opening, the Hotel has become a popular location not only for business meetings and conferences, but also for wedding receptions. 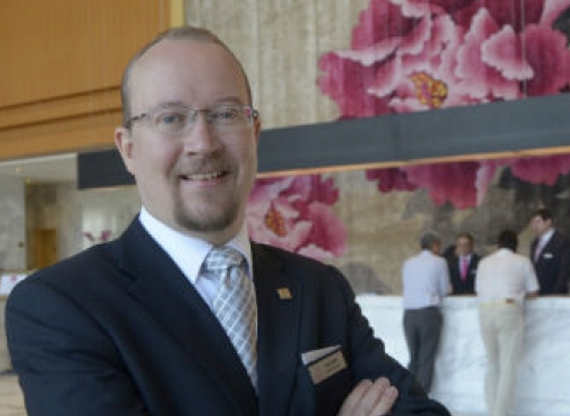 The Financial interviewed Petter Lillvik, General Manager at Hotels & Preference Hualing Tbilisi. In his exclusive interview, Lillvik talked about the international experience that the company is bringing to the Georgian hospitality industry. He gave suggestions for how to raise the popularity of Georgia as a travel destination. 27.09.2015. 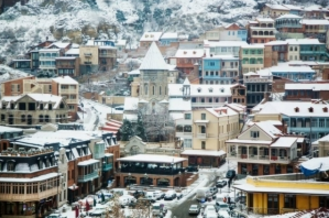 Georgian tourism is once again on the rise as the latest statistics show that the number of foreign visitors have increased. About 4 million international arrivals were registered in Georgia in the last eight months, the Policy and Management Consultation Group (PMCG) Research Centre has announced. According to data from the organisation, 3 922 376 people have crossed the Georgian border in the January - August 2015 period. This is an increase of 5.9% over the same period last year. 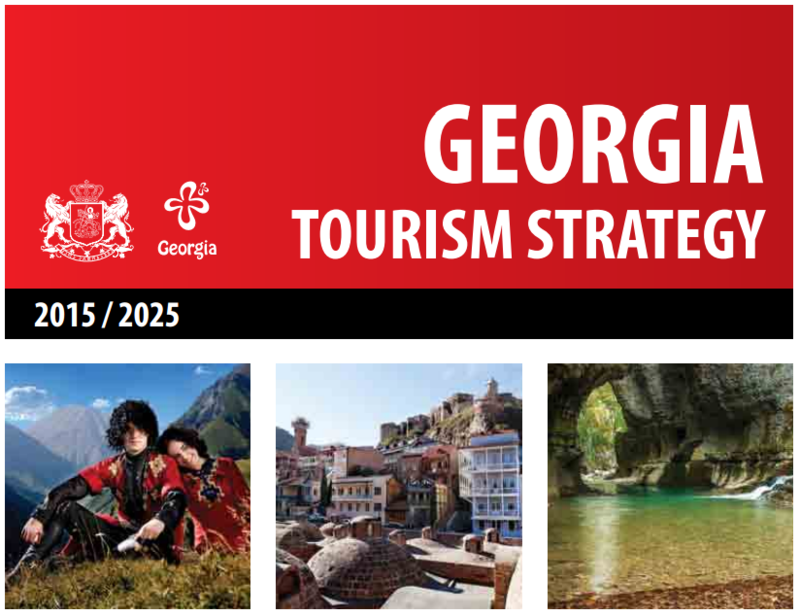 “The growing number of visitors (tourists, one-day visits and transit) to Georgia is important for the further development of the country’s tourism sector, as well as for increasing the inflow of foreign money,” the PMCG Research Centre emphasized in a statement. During previous years the July – September periods has been the busiest in regards to tourism. A similar tendency was visible in 2015, as 40.5% of all international arrivals were registered in the July – August period, with September’s figures yet to be added. This figure is likely to mirror the pattern of previous years, the PMCG report concluded.